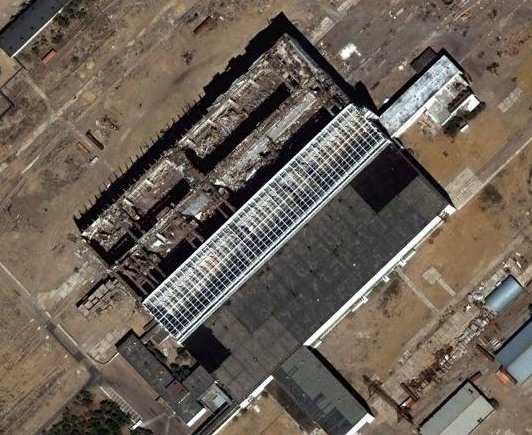 Since November 2006 the Baikonur’s authorities have decided to repair the MIK 112′s roof. This building was built during the 60′s to shelter the production line of the new soviet lunar launcher the N1. At the late 70′s and during the 80′s it was reused for the Energia launcher and Buran (final integration tests). After the successful launch of Buran on november 15, 1988 this last was set on another Energia launcher and stored in this building. But due to the close of the Buran-Energia project and the collapse of the USSR, there was lack of money and the building turned sour. During the roof fix in 2002 it collapsed, destroying Buran 1.01 (the model which flew), an Energia launcher, and 7 of the workers which worked there. See also: Pictures of the MIK 112. Update: Baikonur is in an arid land, it rains only few days a year (this one of the reasons the soviet authorities chose this place for the cosmodrome). But there is a continental climat, very hot in the summer (up to 40°C) and very cold in the winter. That’s why this building was thermally isolated but not protected against the rain. The material used to isolate was a kind of foam which soak up water. This year it rained a lot, the roof was soaked up of water and when workers came to fix it it collapsed because of its weight. Posted on: 2007-08-17 under Baikonur. Quel va etre l’usage de ce batiment? Pour l’instant je ne sais pas. For now I don’t now for what it will be use. 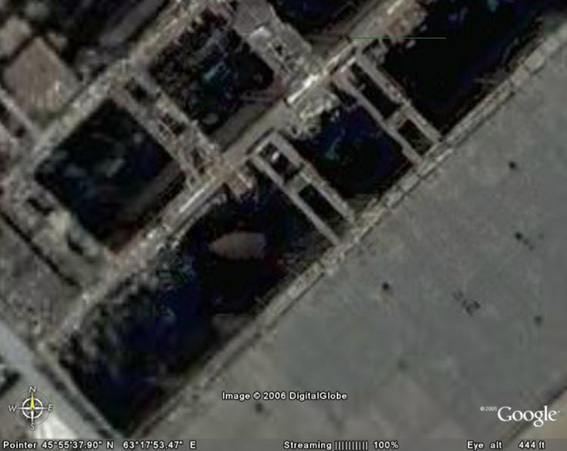 the roof il being rebuilt … are they talking about rebuilding Buran? For now there is nothing about restarting the Buran project.